Our Namibia office in Windhoek employs individuals with expertise in health information systems, monitoring and evaluation, surveillance and business development. Elsie Eises works with the Namibia Malaria Elimination Research Partnership (NAMEP), also known as Malaria Elimination Initiative (MEI). She supports the implementation of MEI’s activities by providing administrative support to the project and working collaboratively with the technical team as well as the finance and operations team. Her background includes human resource management, logistics and administration. Eises has an honours degree in Human Resource Development and Management as well as a certificate in Dispute Resolution. She previously worked at the Bank of Namibia. Roland (Roly) Gosling, BmedSci, BM, BS, MSc, PhD, is the director of the Malaria Elimination Initiative (MEI) at the UCSF Institute for Global Health Sciences and a professor of Epidemiology and Biostatistics at UCSF. Prior to leading the MEI, Gosling worked in West Africa at the Medical Research Council laboratories in Gambia and spent seven years working in Tanzania, first as faculty for University College London and later for the London School of Hygiene and Tropical Medicine (LSHTM). During this time he worked on clinical trials for malaria drugs and prevention and tuberculosis treatment. Since joining the Malaria Elimination Initiative in 2011, Gosling has helped the team grow from eight to more than 30 people, with staff based overseas in three countries and projects in many more. MEI has become a global leader in malaria elimination and is responsible for the development of programmatic tools to improve implementation and impact of new (and old) malaria control and elimination strategies, implementing epidemiological studies of malaria in low transmission settings, and setting the vision for future goals and costing that future, amongst a great number of other activities. 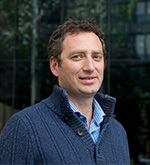 Roly has an MD from the University of Nottingham in the UK and an MSc and PhD from LSHTM. Mike Grasso is a member of the UCSF South Africa team, currently providing program management and technical assistance to the Namibia Population-Based HIV Impact Assessment (NAMPHIA) and the Namibia Integrated Bio-Behavioral Surveillance Survey of Key Populations. His background includes the conceptualization, planning, implementation and results dissemination of several HIV surveillance projects and studies throughout sub-Saharan Africa and San Francisco. He supports strengthening individual and institutional capacity on HIV surveillance, data analysis and data use. He has a bachelor's degree in sociology from San Francisco State University and a master's in public health from San Jose State University. 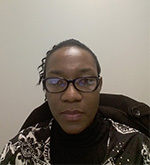 Cara Smith Gueye manages the MEI portfolio of work in Namibia, with a particular focus on surveillance operational research and technical and operational support of the entomology and vector control unit of the National Vector-borne Disease Control Program (NVDCP) of Namibia. On these projects. 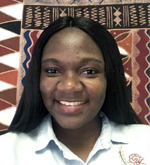 Smith Gueye works closely with the NVDCP, University of Namibia, and serves on the management team of the Namibia Global Programs Office. She also provides strategic and technical support to the Elimination 8 (E8) initiative in Southern Africa. 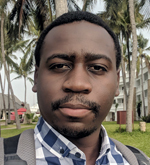 Prior to managing the Namibia portfolio, Smith Gueye managed the malaria elimination case study series and UCSF’s support of regional malaria elimination initiatives in the Asia Pacific and southern Africa regions. 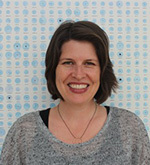 Prior to joining the Global Health Group at the UCSF Institute for Global Health Sciences, she spent two years with an environmental NGO in California and four years in Cote d'Ivoire and Madagascar as a Peace Corps volunteer then working as a regional office associate on a maternal and child health initiative in Madagascar. Smith Gueye has a PhD in public health and epidemiology from the Swiss Tropical and Public Health Institute/University of Basel and an MPH from University of California, Berkeley. Esme Kisting provides administrative support to all projects and performs procurement and logistics duties at Global Programs Namibia office. She worked previously at FNB for 16 years as the administration department manager and at MoHSS/CDC COAG programs from 2010 to 2016 before joining Global Programs. Kisting has completed Grade 12 at Dr Lemmer High School, Rehoboth, Namibia. 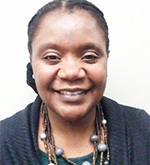 Priscilla Mudzingwa is responsible for overseeing the management of human resources, finance, administration and logistics for all programs and projects. 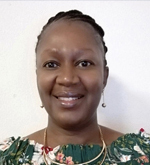 She previously worked for ITECH Namibia as director of finance and for SASCCAL Regional Secretariat as director finance and administration and has seven years’ experience in leadership positions. Asen Mwandemele is a Health Information Systems (HIS) Software Developer. He is a member of the UCSF Global Health Informatics Hub and has a Computer Science background from the University of Namibia. Focusing on programming data collection tools and analytics in global health, Asen has worked on online, offline and hybrid data collection and analysis tools for HIV and Malaria projects in Namibia, Swaziland, Malawi, Tanzania, Thailand and Indonesia. In Namibia, he works closely with the IT and Health Information Systems (HIS) team at the Ministry of Health & Social Services. His competencies are in data collection and analysis, server setup and maintenance, cloud technologies, web services, and mobile application development. Neidel is a registered nurse by profession, soon completing her master’s in business management in quality systems, healthcare and hospital management. She has vast experience in management of health programs, continuous quality management of healthcare services, organizational capacity development, communication and knowledge management. Her current work entails supporting the national quality management program at the Namibia Ministry of Health and Social Services in coordinating quality management initiatives at all levels of healthcare. 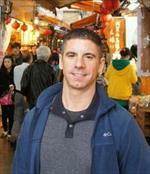 Neidel is a member and fellow of the International Society for Quality in healthcare (ISQua). Ntuku is a trained medical doctor and a public health specialist with interest in the design, planning and implementation of interventions for malaria control and elimination. He leads the field implementation and overall coordination of multiple malaria high-risk population studies in Namibia and other partner countries including Senegal and Laos. In that role, he works with in-country partner institutions including the Clinton Health Access Initiative, University of Namibia, (Malaria Control and Elimination Partnership for Africa, Health Poverty Action to support national malaria programs in identifying and understanding specific characteristics of populations at high-risk for malaria, selecting and targeting tailored surveillance and response interventions to ultimately reduce malaria transmission. Ntuku joined MEI and Global Programs in 2016 and has led the effective implementation of a multi-partner, multi-year randomized control trial investigating innovative malaria response strategies, including reactive targeted presumptive treatment and reactive vector control to interrupt transmission. 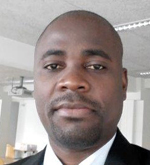 Previously, Ntuku worked for six years, successively for the Kinshasa school of Public and The Swiss Tropical and Public Institute to characterize the epidemiology of malaria and evaluate the implementation of key control interventions in the Democratic Republic of Congo. Ntuku has a MD from the University of Kinshasa in the DRC and a PhD in Epidemiology and Public Health from the Swiss Tropical and Public Health Institute/University of Basel in Switzerland. Penda assists the finance and administration department and ensures the office is environmentally friendly. She previously worked for Regus Business Centre as an office assistant. 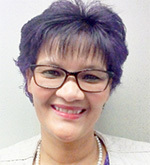 Maria Witbooi provides financial support to the Finance and Operations team. She has more than 10 years of practical financial experience in various reputable organizations, including procurement specialist at Rossing Uranium Ltd, assistant accountant at Letshego Namibia, financial assistant at the Icelandic International Development Agency (ICEIDA), and financial analyst with the Centers of Disease Control (CDC) in Namibia. She has also worked as an accounting teacher at Hochland High School. Witbooi has a postgraduate diploma in Business Administration from the University of Namibia and a bachelor of technology degree in cost and management accounting. 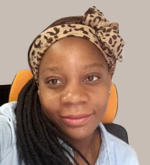 Praise joined Global Programs in 2016 working as M&E Data Analyst working on the HIV Quality improvement data management system (HIVQUAL) and HIV Data Reviews which are platforms for facilitating RM&E-focused, data quality control procedures in the MoHSS in Namibia. She is currently working on the Namibia PTracker Project on which Global Programs is working with the MoHSS Prevention of Mother to Child Transmission (PMTCT) program to design, develop and implement a patient- level electronic data capture and reporting system that will strengthen the PMTCT program’s monitoring and evaluation to achieve quality improvement and to ultimately validate Namibia’s progress towards eliminating mother-to-child-transmission (e-MTCT) of HIV. Her role includes providing support for improvement strategies for data collection, data quality assessment and improvement. She also supports the informatics and development team with systems testing and providing feedback to further improve the system. Along with development of training materials, SOP’s and manuals, she provides support and ongoing capacity building for health workers on P-Tracker implementation. Prior to this role, she worked in monitoring, evaluation and reporting roles on health and nutrition and malaria programs with UMCOR in Zimbabwe. 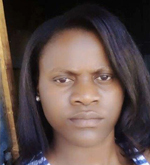 Praise has a bachelor’s degree in Social Sciences with Africa University, Zimbabwe and is currently studying for a master’s degree in International Development Studies with the University of Birmingham, UK.